The world of renting is die-hard and cutthroat. Ok, maybe not, but it certainly can be harrowing and stressful, especially if you need to find a place to live quickly. When you are searching for an apartment, there are some crucially important things that you must make sure you do—and some that you don’t—to ensure that you are getting what you are paying for. One of the easiest money mistakes to make when renting is not viewing the apartment or house before agreeing to rent. Sometimes it can be hard to set up a time for a viewing, but it really is important. While you can view pictures, they (obviously) only allow you to see what the landlord wants you to see. Also from experience, pictures can be taken to make a room an extra 200 square feet, so if size matters for you, you shouldn’t settle for anything less than going there and viewing it yourself. Set up an appointment with your potential landlord to see the space preferably empty. If push comes to shove, view it no matter what. Even if someone is currently occupying the space, knock on the door the door and simply state that you are a prospective renter and that you just wanted to get an eye for the place. If it is impossible for you to physically see the space, have a friend, someone you can trust go and scope it out for you. Once you have decided on a space, make sure you know all of the information before signing a lease. This begins with actually reading over the ENTIRE lease. If you don’t do this, you could be in big trouble later if something goes wrong. Even if you are a seasoned renter or have rented before, don’t assume that you know what is in the lease. 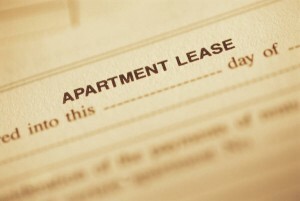 Leases are not standardized, so they might not be the same from place to place. In the long run, reading the lease for ten minutes is much easier than realizing later that the place you are living has rules and regulations you didn’t know about. If you honestly won’t take the time to read the lease then at least scan it for portions that say either you are completely responsible for something or if it says that the landlord does not hold any responsibility. Part of reading the lease is becoming aware what your space/apartment complex comes with and allows. Amenities are very important, so you should know what would be available to you before you commit to living anywhere. Is there a laundry room on the premise, or do you have to go to a Laundromat? Is there a doorman or security guard that will be watching over the building? You should also know if there are rules about pets of any kind. You definitely don’t want to sign a lease and then have to give the dog away that you raised since it was a puppy. Lastly, after you have read the lease, found it acceptable, and have decided to sign it, make sure you also invest in renter’s insurance. It is much better to be safe than sorry in the event that a fire or flood or some other natural disaster compromises your space while you are renting. You don’t want to have to pay to fix a space that you are only living in short term; that just doesn’t make sense. It could also be wildly more expensive than you can afford to fix. I learned my lesson for the importance of renters insurance after a fire years back the hard way. Lesson learned. I’m perfectly ok with no owning my piece of the rock. I don’t like the taxes, having the upkeep or replacing things. Pay the rent and live is the way I go. I currently rent with all utilities included. I consider this very lucky. So many property owners do not offer this. My landlord is awesome. He appreciates me being a tenant as much as I appreciate his quick responses to whatever my interest may be. Finding the right property owner, one you can work with is another important factor when renting or leasing. Hi how many people make at least one of these mistakes quite a few I would think. Especially if you need somewhere in a hurry or you get a new job in a different town and don’t have the time to go there and sort something out. The bit about reading the whole lease I think is very important. But who reads the whole lease. No one I expect. Andi will admit I had never heard of renters insurance. I can’t imagine renting a place without seeing it – not just for the pragmatic reason of making sure you get what it says on the box, but because this place is going to be “home”. I’m lucky with my landlords, they want me to be happy and to be a long-term tenant. Where I live renters are obliged in law to have contents insurance and the landlord can demand to see this. Without insurance the lease is invalid. We are in the middle of renter’s hell right now. My husband’s job is transferring him, so we did, in fact, rent a house sight unseen. I sent my parents to look at it, so that probably counts as something. That all worked out great, the house is perfect. We notified our current landlord that we are moving, and it is outside of our control. This was a transfer or quit scenario. We told them the first week in August that we would be out on Oct 13, and we would pay the full month’s rent for October. Of course, we had to pay the full month of October, plus a full month’s deposit, at the new place. Add in moving expenses, paying full utilities on two houses for a month, etc and we are strapped. The problem? Our current house hasn’t rented yet, and our landlord says that we are responsible for buying out the lease if it doesn’t rent by 10/31. I am terrified. I can’t find any information anywhere (in our lease, online, friends) that tells me what is going to happen when we simply can’t pay. Are they going to take us to court and sue us? Garnish our wages? Put us in jail? I have never broken a financial commitment of any kind before, and I am still hopeful the house will rent, but I can’t sleep at night for thinking about what is going to happen if it doesn’t rent. Do you have any ideas or advice? Certainly there are quite a lot of mistakes that could happen to a person seeking to rent an apartment. If you are not careful, the contract you sign might actually be a highway to hell. A lot of my friends complain from their bad neighbors and the stressing landlords that they have. Living by paying rent might save you a lot of taxes and bills, but if you overlook even the smallest detail, you will have to face a lot of issues. Good points that certainly are worth remembering before signing the contracts. It is so easy to overlook a detail and then be trapped in a bad rental agreement. Not to mention the grievance of settings things right.